"In military meetings I hear too many phrases like 'political arena' and 'legal implications.' The most important thing for me is victory." At the end of the year, Chief of Staff Gadi Eizenkot will end his tenure. The four candidates to replace him are Deputy Chief of Staff Maj. Gen. Aviv Kochavi, his predecessor in that position Major General Yair Golan, and Major Generals Nitzan Alon and Eyal Zamir. 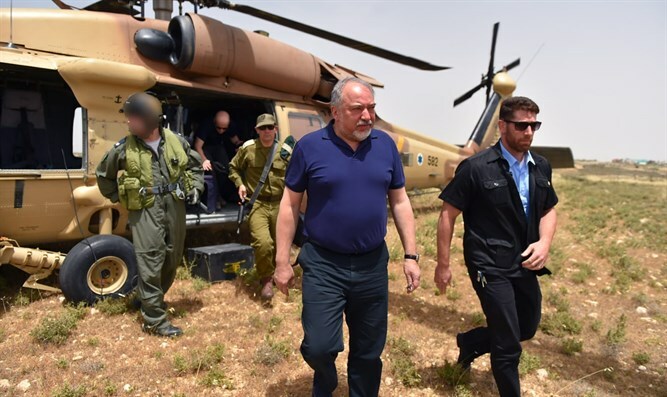 "I have already decided who I will recommend to be the next chief of staff and I also decided who will be his deputy," the defense minister said in an interview with Yediot Aharonot, which will be published tomorrow in the "Supplement for Shabbat." The minister, who has threatened to assassinate Hamas leader Ismail Haniyeh in the past, now says that the overthrow of the Hamas regime by the people of Gaza is better than toppling it through the IDF. "There are two options: to topple Hamas through the IDF and to pay a difficult price, including the need to control Gaza, or to try to bring about a situation in which the citizens themselves topple the government. The second way promises much more stability," he said.